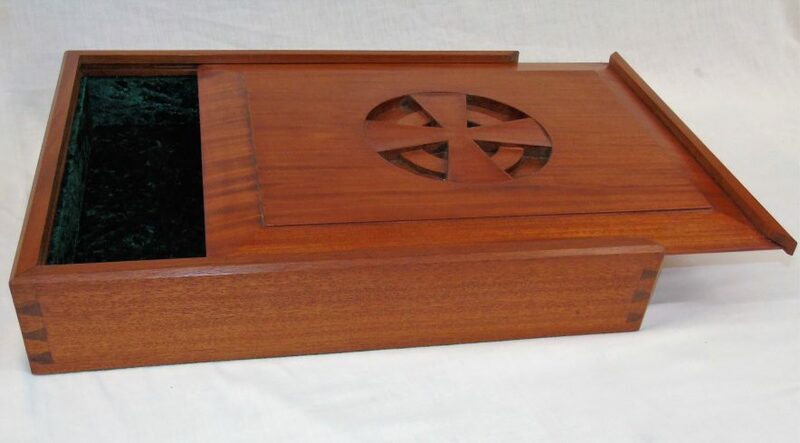 A solid mahogany box I made to store a client’s 240 year old family christening gown, with a fielded panel lid and celtic cross carved in the center. 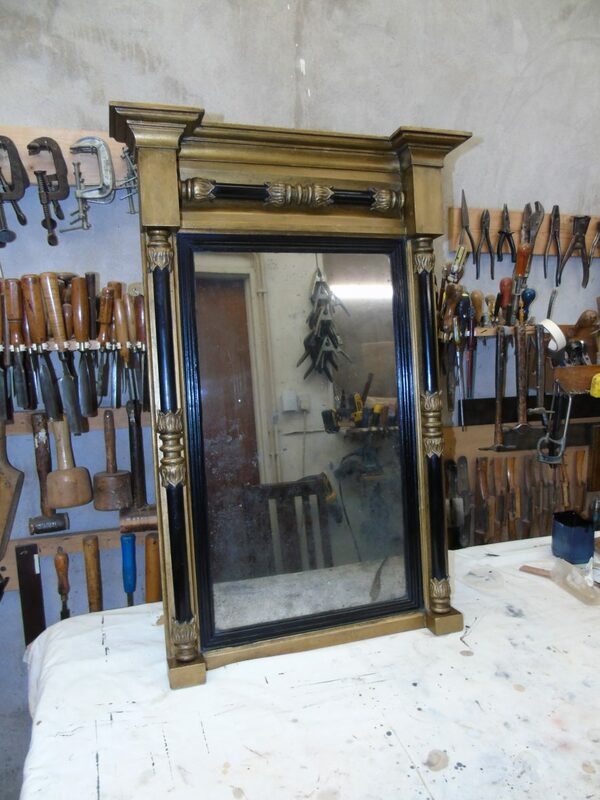 This overmantel mirror has been extensively restored to showroom condition. 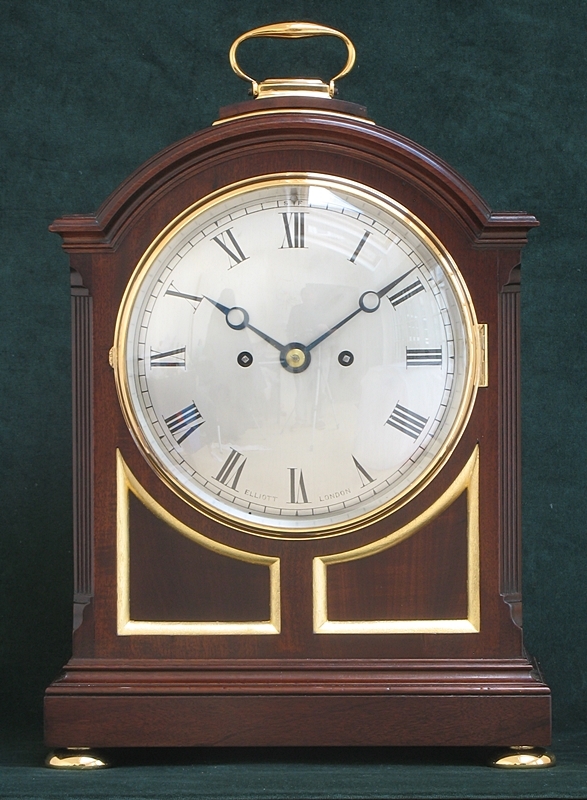 A restored mahogany bracket clock case. The badly split top was re-veneered in fiddle back mahogany.